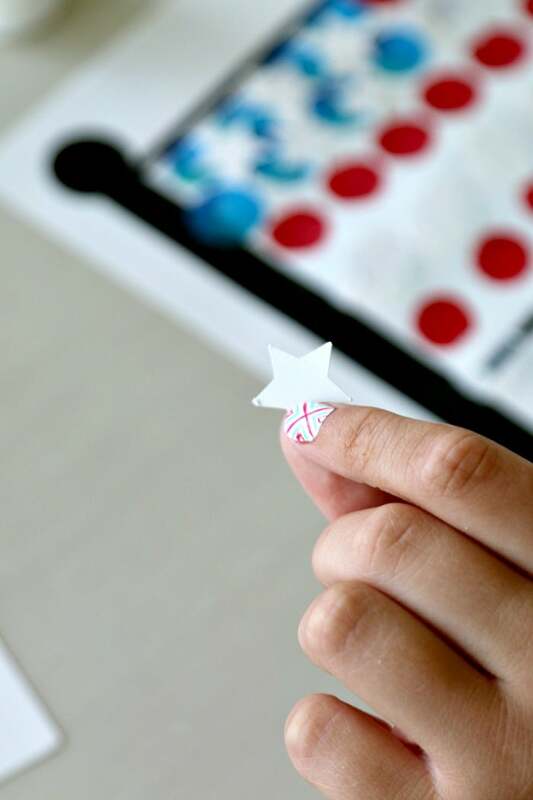 Since I shared my free Flag Printable over with our Pom Pom Flag Craft, I wanted to give you another idea that was super easy for my preschooler! 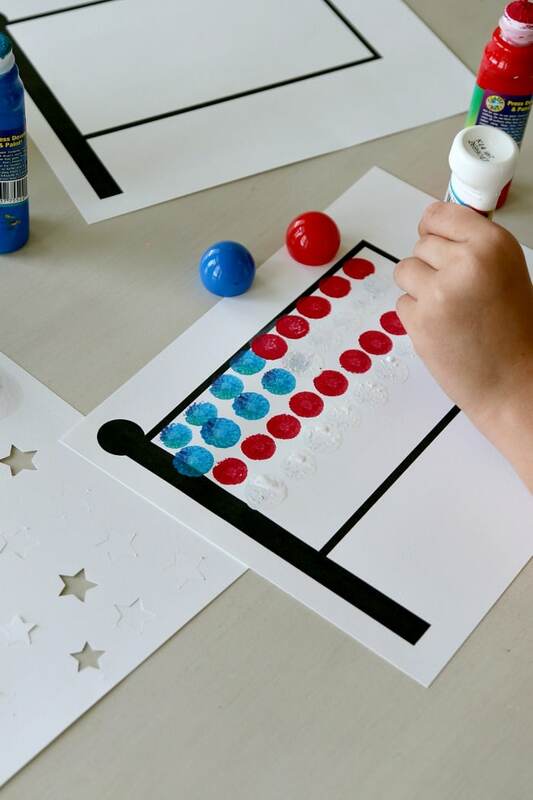 I love Bingo because of the dauber..it’s so fun to make those perfect circles, isn’t it? Kids of all ages love it and it’s virtually mess free! You can emulate that same fun in your crafting if you keep a set at home. 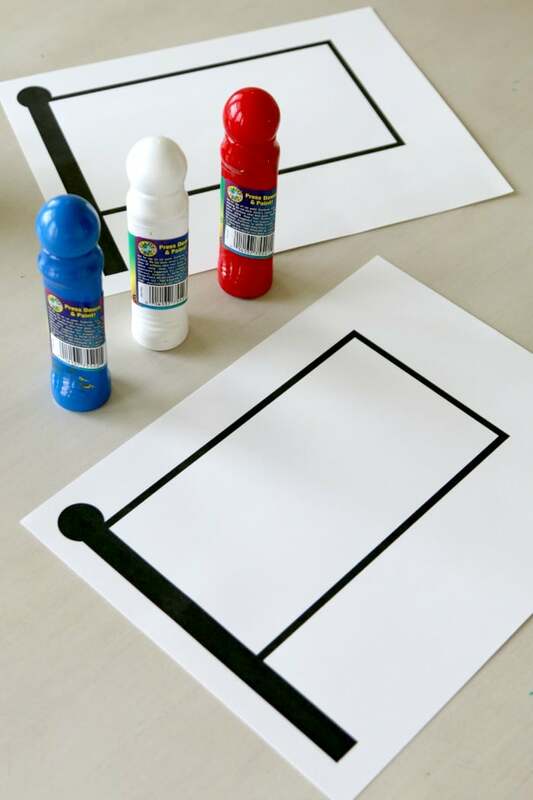 Now I do not have Bingo daubers, but I do have the paint kind that you generally use for car windows, so that is what we used. Truthfully I would rather use them on paper anyway because the second I show my kids you can actually WRITE on cars, I am afraid something horrible will go down. 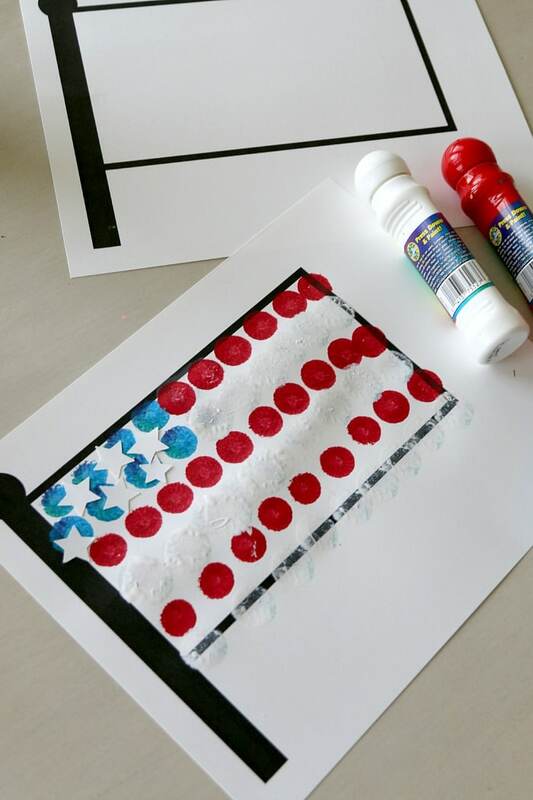 Of course are flags are not exactly true to size on what a flag SHOULD have, but it’s great to do while you are talking to your kids about July 4th or Memorial day this year.